Photos by Matt Chapman for Bushwick Daily. I love the small, Gowanus-based gypsy brewery, Grimm Artisanal Ales, which I wrote about last November for a Bushwick Brews column. 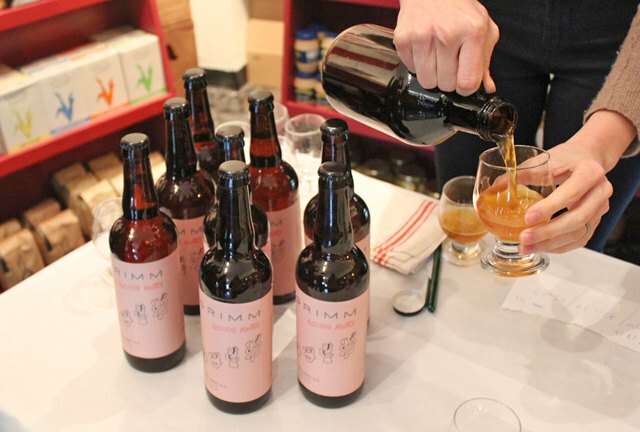 The love-child of Lauren Carter Grimm and Joe Grimm, Grimm Artisanal brews small batches of inventive beers drawing inspiration from Belgian style ales. Sound interesting? 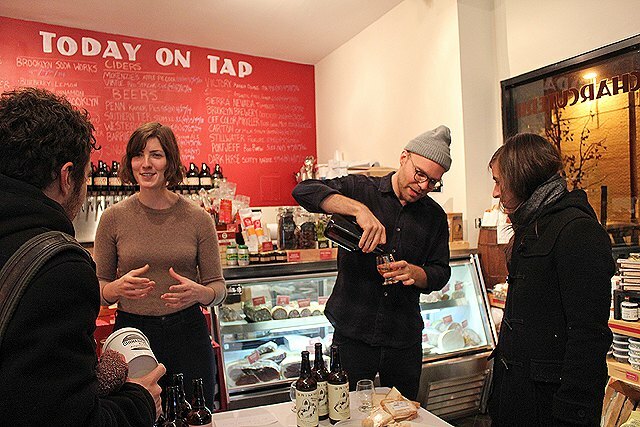 Stop by the wonderful beer/cheese/charcuterie shop Hops and Hocks this Saturday from 2pm-6pm to sample their latest concoction "With Love from Grimm," which the couple brewed on Valentine's Day. The beer is a "rosebud tripel" brewed with, you guessed it, rosebuds and has notes of "black pepper, candied citrus, spicy hops, and fruity esters, with just the faintest hint of floral perfume." If it lives up to the awesomeness of their previous brews we're in for a treat! Hope to see you there! Hops & Hocks located at 2 Morgan Avenue, just past Flushing. It is open daily from 11am – 8pm.